For a look at new and archived publications by Archaeology students and faculty – including material submitted to peer-reviewed academic journals, book chapters, monographs, excavation reports, laboratory reports, magazine articles, and more, please see the NABO webpage. Alessandro Angelini won a 2008-2009 International Dissertation Research Fellowship from the Social Science Research Council (SSRC) in the amount of $25,000 (funded by the Andrew W. Mellon Foundation) as well as a Wenner-Gren fellowship in the amount of $21,000. 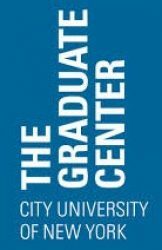 These fellowships will assist him in his dissertation research on favelas (squatter settlements) and the production of urban knowledge in Rio de Janeiro, Brazil. Rob Siebert is the student representative to the New York Academy of Sciences’ Anthropology Section. Students – we’d love to know your news! Please contact anthro.news@gmail.com with any updates regarding your latest activities.